Check out this interview I did with We Are Moving Stories about my short film, Middle Ground. Big thanks to We Are Moving Stories for featuring the film! P.S. Coming soon - Middle Ground will be featured on FilmShortage.com !! Impolite Company in "Town & Village"
A big thanks to Town & Village for their continued support of Impolite Company (Ryan Carmichael and I) and our film, But Not For Me. I came across this article today and shared it on social media - I've worked on the issue of gun violence and once edited a video of Nardyne Jeffries for the organization Protest Easy Guns. After sharing the article, I discovered towards the bottom there was a link to the video I had edited. I'm very proud that the work I did is able to support Nardyne's efforts to reduce gun violence. On Thursday, June 4th, Michael Wood and I introduced the film A Warm Spell (Mike shot the film; I produced it) before a screening at the New York Japan Cinefest at the Asia Society. The film ended up winning the Audience Choice Award! Here's a photo of Mike and I introducing the film as well as some coverage in a newspaper I can't read (which is awesome)! 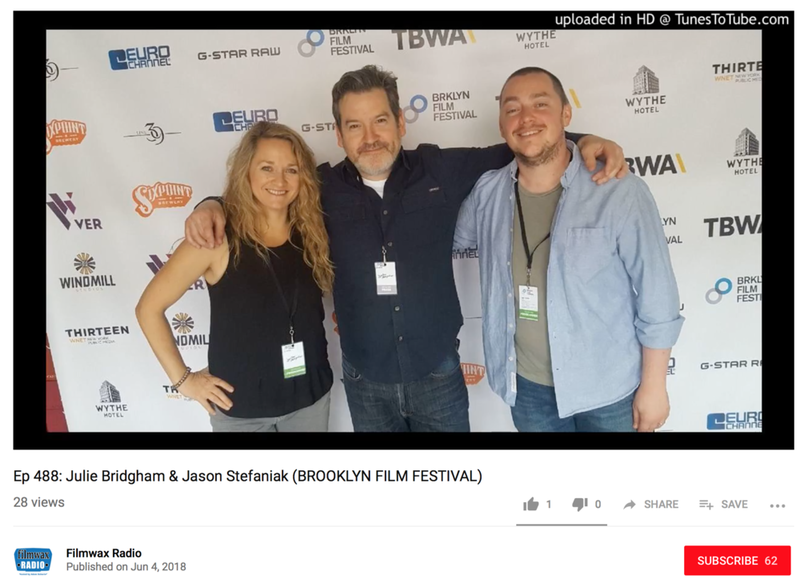 Ryan Carmichael (Writer/Director, BUT NOT FOR ME) and I did an interview for the local New York newspaper Town & Village about getting our feature film BUT NOT FOR ME made and it's upcoming world premiere at the Brooklyn Film Festival on June 4th. CHECK OUT THE STORY (click here)! I'm excited that this time the version with subtitles is going around so the hearing-impaired can enjoy the film as well. "This Is My Body (English Subtitles)" on Upworthy! Check out this article in Town & Village newspaper about my and Ryan Carmichael's new feature film project, But Not For Me. The film addresses the lack of affordable housing, among other socio-political problems, facing up-and-coming young and middle-class New Yorkers. Check out and the article and visit our Kickstarter page. 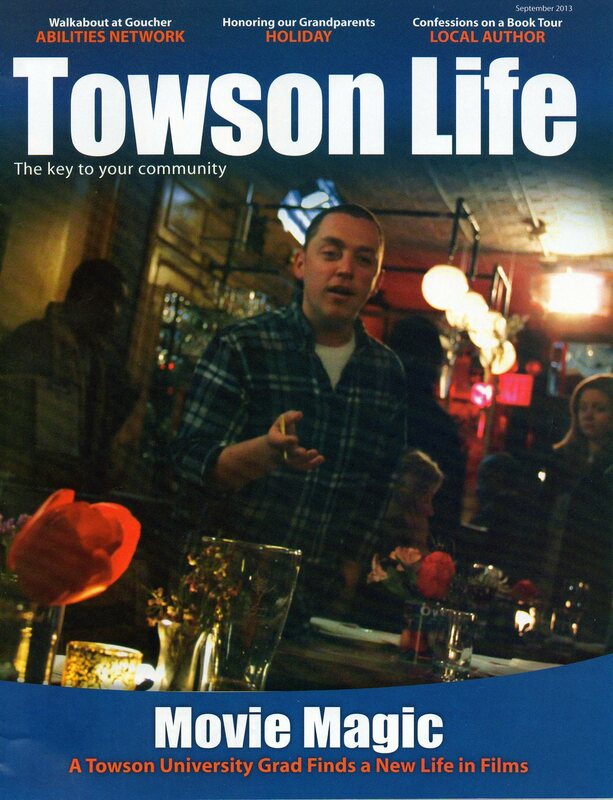 The Towerlight, the newspaper of my alma mater Towson University, did a story on the Kickstarter campaign we're running for But Not For Me. Check out The Towerlight article. And check out the Kickstarter campaign. Check out this interview This Is My Body co-creator Siobhan O’Loughlin and I did where we talk about the making of the video, issues facing women, and the power of empathy. Starts at 10:10-21:56, continues from 26:23-36:35. Check out This Is My Body here. The segment starts at 26min. Check it out!